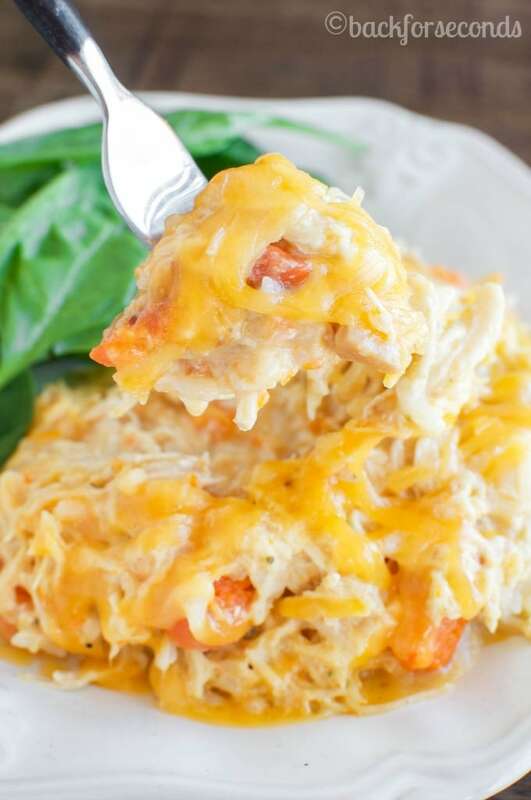 Easy Cheesy Crockpot Chicken is a no fuss dinner that everyone loves! Hearty, creamy, and cheesy- even picky eaters like it! Great meal for busy weeknights! Anytime I make a meal and all seven of us love it, I get pretty excited! 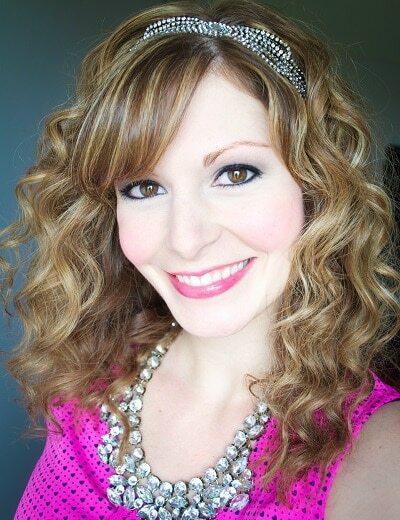 This one was a winner, and it get’s extra bonus points from me because it is ridiculously easy to make! My 2 year old had 4 helpings of this chicken. FOUR! Then he had the leftovers of this “good chicken” for breakfast. I think it’s safe to say he liked it! 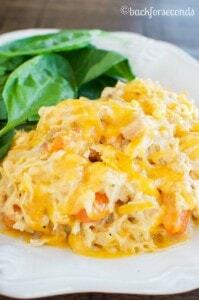 It’s kind of like the non soup version of my most popular recipe, Easy Crock Pot Creamy Chicken and Rice Soup. SO GOOD! I really love using my slow cooker for dinners during the week. It makes things so much easier, and I don’t have to panic when 5:30 rolls around and everyone is starving. This is the crock pot I have and I love it – total life saver! This easy chicken recipe is going into our dinner rotation for sure – hope you all enjoy it too! Easy Crock Pot Creamy Chicken and Rice Soup – this has been crazy popular for years! These Creamy Chicken Enchiladas are a family favorite! Recipes That Will Make You Fall In Love With Your Slow Cooker! Place everything except milk, cheese, and rice in the crock pot. Cover and cook on low 8 hours or on high 4 hours. 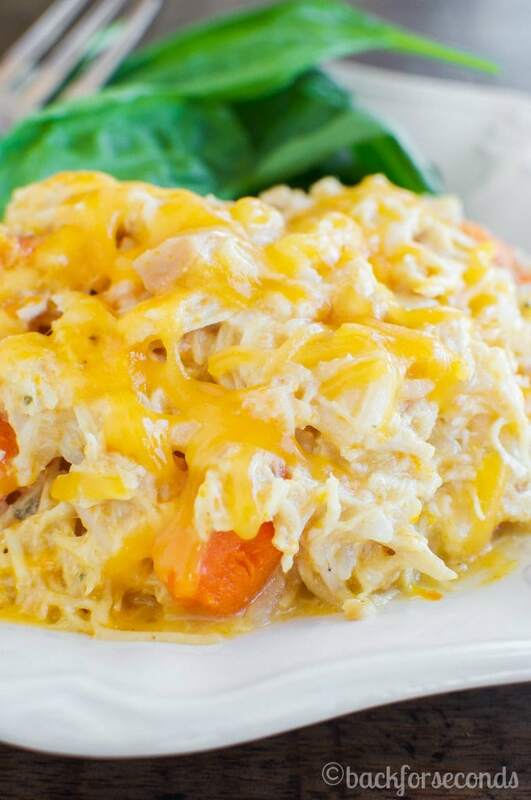 Shred the chicken and stir in milk, cheese, and rice and serve. This.was.amazing! I am not a fan of cooking and being in the kitchen and finding easy meals that are both really easy AND really good are so hard to come by! 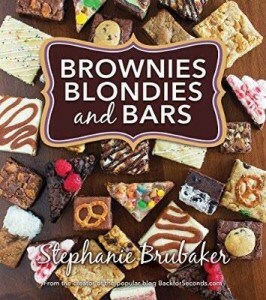 Thank you for sharing your recipe and all the yumminess that comes with it! I have already been asked if we can have it again next week! Did you just use the chicken and not the juices when mixing cheese, milk and rice? Do you thaw your chicken before hand, or do you keep it frozen? Cream of chicken condensed soup? Do you pre-cook the rice before adding with the milk and cheese? Just made this tonight. Delish!! Any flavor of rice would work in this! Very easy & usually have these ingredients on hand. Thank you! Can you put uncooked rice in the crockpot at the beginning instead of cooking it before?